I have no pre-prepared Dish of the Month to show you this month because I've been hanging out with Paul Bocuse, the famous, Lyonnais chef. 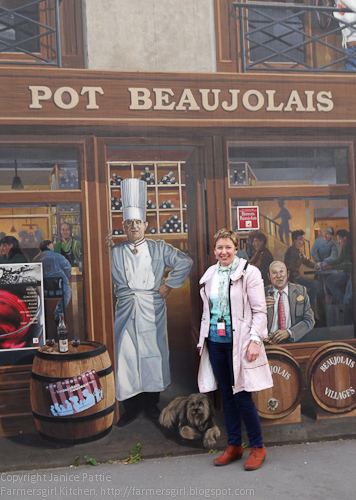 Sadly, only in this amazing trompe l'oeil painting. 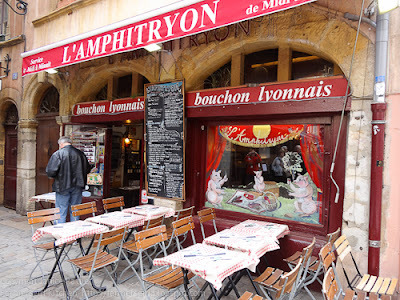 We didn't have time to eat in one of the famous bouchon lyonnais, if you would like to find out more about them check out this article about The Bouchons of Lyon from Saveur. 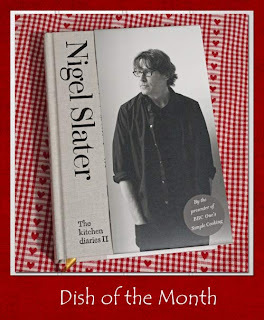 Anyway, as you may have gathered, I've been on holiday and that's my excuse for not having a delcious Nigel Slater recipe to show you. 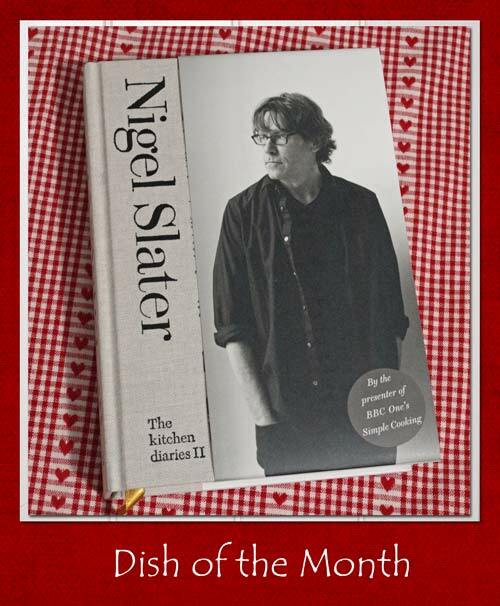 However, I was perusing The Kitchen Diaries II last night and April is a bumper month for recipes, so I'm sure I will come up with something soon. Don't wait for me just tuck right in! Check out last month's round up hosted by A Little Bit of Heaven on a Plate and our Dish of the Month Pinterest Board featuring all the recipes since Dish of the Month started in January. Bother - I left it too late this month! Oh well it just means I have one ready to go in May!